If you have heard anything about the horrible weather in the midwest this week, you can understand why I did not want to go to the store to pick up some more. 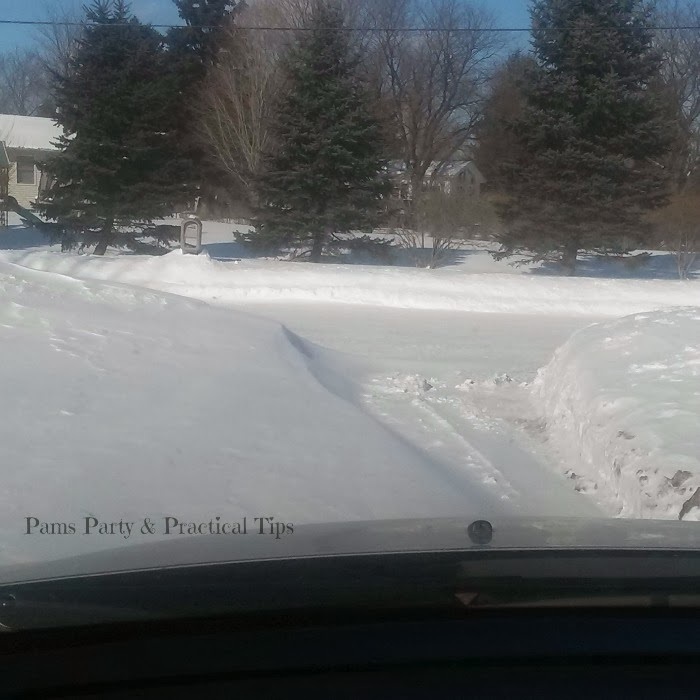 This was my driveway yesterday afternoon. We were under an extreme temp warning, and had missed yet another day of school. Today it was a heatwave, it was in the 20s! I had a bag of potatoes, and some of the cheesy bacon dip leftover from Tuesday. 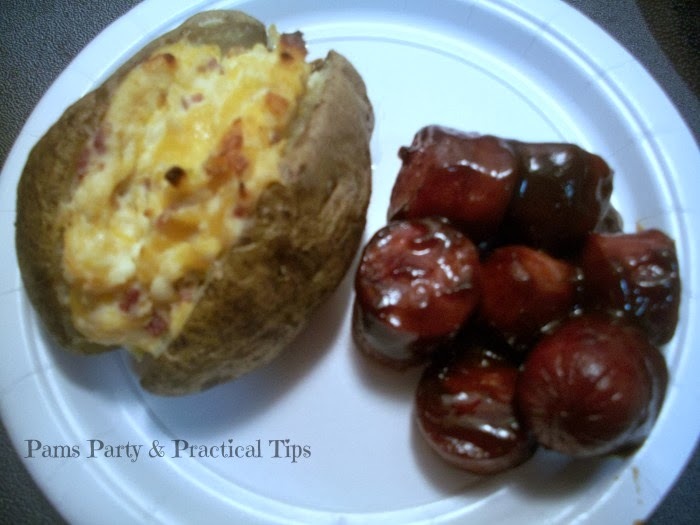 I thought that baked potatoes covered with warm cheesy bacon dip sounded very good, so I thought I would give it a try. 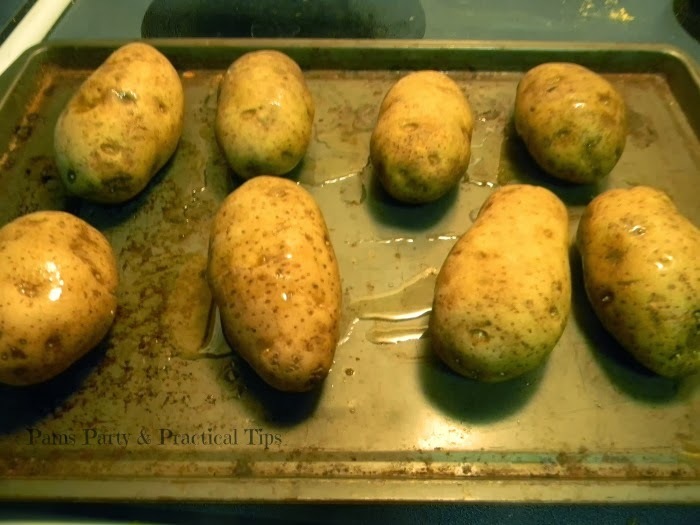 I prepared the potatoes, drizzled on some olive oil, and then put them in the oven for 45 minutes at 400 degrees. While the potatoes were in the oven, I prepared the smoked sausage. I recently got a couple of the long links on sale for a great price. 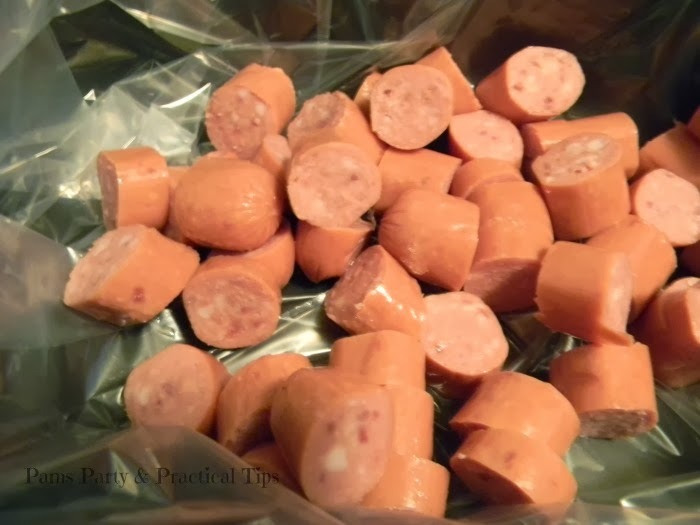 I often make BBQ Lil Smokies, so I thought I would try it with the bigger links. I cut it up into bite size pieces and put them in the slow cooker. I have to say I LOVE cooking in slow cooker bags, because it makes clean up super simple! I added a half a bottle of barbecue sauce, and a couple of teaspoons of grape jelly, and put the slow cooker on high. When the timer went off, I cut open the potatoes and filled them with the cheesy bacon dip. I put them back in the oven and baked them for 15-20 minutes more. The potatoes tasted a bit like they were twice baked. The cheese bacon dip was a great addition to a plain potato. 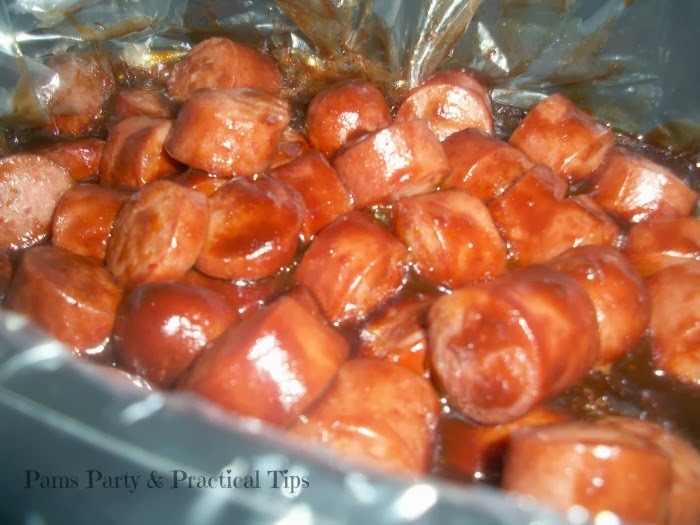 The sausage pieces were saucy and tangy, and would make a great party appetizer. My family enjoyed both of these recipes enough that I will be making them again. 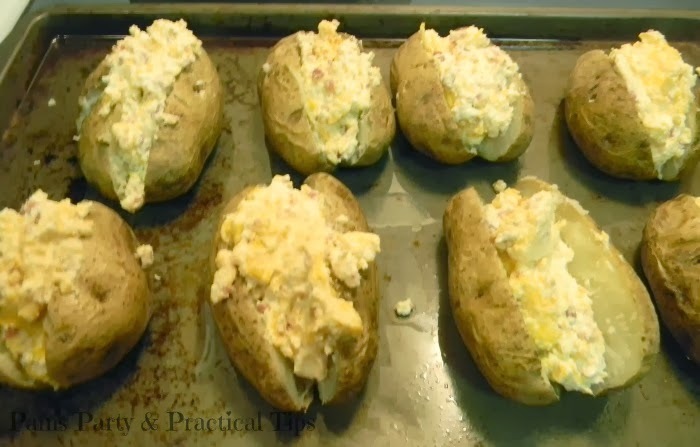 Great idea for using the dip in the potatoes!